February | 2016 | Home: Free Sociology! I looked into the new interface for CMHC’s Housing Market Information Portal today (new to me, anyway!) My review so far: it’s pretty handy. Here’s a chart I put together illustrating what I think is an important (but sometimes overlooked) aspect of urban housing markets: they are often highly detachable. Urban real estate is heavily regulated. Zoning is hugely important across North America, setting up distinct land markets. Single-Family Residential takes up the most urban land. But there are further regulatory protections of interest, including residential rental contracts and rent control. Together with less formal market segmentations and protections, regulation creates an environment where there is little certainty how what’s going on in one little sub-market will translate into another little sub-market. In other words, there’s no such thing as one big market (take it from Polanyi, if not from me). Instead there are many little markets with often arcane connections between one another. For much the same reason, there’s no such thing as one Vancouver real estate market. Market rents for rental units already need to be subdivided into primary markets (rental only buildings) and secondary markets (here condo rentals, but theoretically also including secondary suites). Even with the shaky secondary market data we have available from CMHC surveys (see the blue line from 2007 onward) we can already detect how the more closely observed and regulated primary market differs from the condo market. BC’s rent control (restored by the NDP in 1992) probably has something to do with the slow and gradual rise in market rental rates (I’m setting aside, for the moment, broader arguments that it might also have diminished investment in new rental stock). With the data we have on it, the condo rental market looks much more volatile. But an even larger gap can be observed between what’s going on between apartment rental markets and single-family detached sales markets. Where rents have risen gradually across the entire time period observed, the sale prices of single family detached houses went boom and bust in the 1990s, and (as everyone knows) have since boomed without stop. Fortunately (I think), there isn’t much of a relationship between the crazy things single-family sales prices are doing and what renters are feeling. At least not yet. Still, we could, and should, work on making our regulatory environment better. But we should focus on making things better for those most in need. As it pertains to the relationship between different markets, in my ideal world we’d be looking to bring the apartment rental and detached sales markets closer together by further relaxing the regulations fencing off single-family detached houses from internal subdivision, gentle densification, and redevelopment. It wouldn’t do much to bring the price of single-family houses down, but it could bring in a lot of new rental supply. Of course, my ideal world would also contain a lot more non-market housing options, especially cooperatives! But that’s perhaps a different story. Don’t Bring an Anecdote to a Data Fight. So goes the meme, and it’s funny. In a nerdy sort of academic way. But is it good advice? But maybe it’s not all people we’re worried about – it’s the lifeblood of Vancouver that’s leaving. People in their thirties and forties, whose careers are just taking off, but who can’t maintain a family in the tiny hell-holes this city provides. The data actually tell us that, at least across the Metro Area (where we might expect “lifeblood” to have a useful meaning), more people in their thirties and forties are coming than leaving, it’s just that they often end up in the suburbs rather than the central city. Ok, but some of my friends have left. This was, in effect, one of the comments I received over my recent posting about migration trends. The standard response, of course, would be “Don’t Bring an Anecdote to a Data Fight.” But I actually appreciate the comment, and now I’m kind of wishing I’d followed up on it by asking for more details. Why? I actually think it can be very valuable to bring anecdotes to a data fight. A couple of years back, I remember first coming across news stories about people fleeing Vancouver because of housing prices. (Ok, maybe even more than a couple of years. I’m getting old, too old to go back and track them down). What was striking to me about so many of these stories was the lack of verification. When pressed, our dearly departed often described their moves more in terms of great new job opportunities, or desire to be closer to family, than in terms of housing costs. This isn’t to say housing costs weren’t and aren’t a factor in many moves. Indeed, they show up as a (relatively) common reason for moves provided when people are surveyed about why they move (see here for a report from the USA). So I’d be surprised to find no one leaving Vancouver over housing prices. But for the same reason, I’m often struck by how difficult it is to establish these kinds of motivations, even using anecdotes. Clearly we could do a better job tracking movers in Canada! The absence of anecdotes can be telling. If you’ve put in a good faith effort and you can’t find an anecdote that resonates to a story of interest – one you’re trying to tell, or one you’re reading – then maybe the story just doesn’t work. Even if the data seem compelling, if I can’t find place a particular and unique instance where the relationship they purport to show actually works, I’m going to be very skeptical. And I should be. Anecdotes can provide examples of the complexity that necessarily pertains to how well data stories might work in the real world. For instance, they might show a story works in some circumstances, but not in others (which can help drive further data fights). I’m very interested in anecdotes that help differentiate the people leaving Vancouver from those arriving. Put slightly differently, but in an important way, anecdotes sometimes remind us about underlying heterogeneity. Data fights are usually about trends, averages, average effects, and correspondingly dominant story lines. But that shift is important – averages mask differences. We should be very careful about allowing one story to dominate others if we can establish cases where alternative stories fit best. Anecdotes that remind us of this serve an important purpose. Anecdotes can call into question the validity or reliability of data. This works best not by drawing upon a few counter-examples that call the story being told by the data into question (there are usually already baked into the data), but rather by drawing upon a few examples that call into question how the data were collected and/or interpreted. In other words, tell me that you have friends who have left Vancouver and it won’t change my basic understanding that more people are coming than leaving. But tell me that you have friends who left Vancouver but were still counted by the Census as being here, and I’m going to want to know more. Anecdotes remind us, often in emotionally resonant terms, how important (or unimportant) some data fights might be. Indeed, this is one of the frustrations of many quantitative social scientists: sometimes a good story is far more compelling than all of their carefully assembled data. Bringing anecdotes to a data fight can help sell the importance of the data exemplified by the anecdote. Politicians know this. Social scientists should too. When drawn from a data set, anecdotes also offer a way to check the data, making sure it works how we think it works. Often this is the glory of mixed methods – qualitative & quantitative – kinds of analysis. I don’t want to wade into any data fights without checking a few of the anecdotes contained within my data to make sure they make sense. Anyway, the long and short of it is: please bring your anecdotes to your data fights. Especially if it’s a fight with me. I want to see them! And I want details! Can we blame Scalia for Vancouver’s unaffordable real estate? Scalia’s death opens up a spot on the Supreme Court, and the ensuing nomination contest should prove… interesting. Republicans are, predictably, arguing that President Obama shouldn’t make any nominations, leaving the Supreme Court pick to his successor. One argument is that there simply isn’t enough time. The New York Times put this argument to rest today with a handy graphic revealing that Obama has 342 days left in office, and its never taken the Senate more than 125 to confirm (or reject) a nominee. Plenty of time! But which former nominee took the longest to get confirmed? A quick scan reveals it was none other than Louis Brandeis. Probably because he was an incorruptible progressive, and also Jewish. I’ve long been fascinated with Brandeis. Initially this was just because of his association with the eponymous University (yes, it is named after him), and my difficulty in deciding how to pronounce his name (rhymes with bran-face?). But then I discovered he was part of the Supreme Court during a decision of particular interest to my research. He was part of the Euclid v. Amber Realty court majority deciding in favor of the legality of use-based zoning by municipalities in the USA in 1926. This was actually quite a close decision, despite only three judges formally dissenting, and had Brandeis not been there, it could easily have gone the other way. * But he’s also notable for co-authoring a relevant defense of the right to privacy that predated his time on the court. increase the safety and security of home life; greatly tend to prevent street accidents, especially to children, by reducing the traffic and resulting confusion in residential sections; decrease noise and other conditions which produce or intensify nervous disorders; preserve a more favorable environment in which to rear children, etc. With particular reference to apartment houses, it is pointed out that the development of detached house sections is greatly retarded by the coming of apartment houses, which has sometimes resulted in destroying the entire section for private house purposes; that, in such sections, very often the apartment house is a mere parasite, constructed in order to take advantage of the open spaces and attractive surroundings created by the residential character of the district. As I like to think of it, we put in place a Great House Reserve around the urban core(s) of Vancouver, and it’s pretty much still in place today. Once the City’s middle class felt they could afford the price. Now, for a great many reasons (here are only a few), that’s no longer the case. But due to the maintenance of existing zoning restrictions, we’re still reserving the vast majority of the City’s residential land for single-family houses. Effectively, we’re now only allowing multi-millionaires to play there. No wonder they’re dominating the news. Still, protecting the exclusive rights of millionaires is the sort of thing Scalia might’ve liked. Maybe we can blame him for the high cost of our real estate after all? **of course now you can usually add a secondary suite and a laneway house to single-family residential lots in Vancouver if you really want to, so that’s something! mosquito -> Zika -> microcephaly. If this is borne out by more investigation, we’ve got a textbook case of a spurious relationship on our hands. And also a new cautionary tale about mucking about with the environment. What would happen if we took relationship one to suggest the need for even more larvicide? Still early days, but this is a striking turn of events, and so far seems like a much better fit to the data. * Update * This from the Guardian strikes me as the best media-related commentary I’ve seen so far. There remains plenty of uncertainty, but the hysteria around Zika has been way overblown. In the public health world, this seems to be largely due to international failures around dealing with the Ebola outbreak from 2014, which appears to have killed around 11,316 people (a recent update providing data on the 2014 Ebola crisis was just posted by the CDC a few days ago, which gives us an idea of how long it tends to take to develop a relatively clear picture of what’s happening with world health crises). Below, widely varying estimates of the number of suspected cases of microcephaly in Brazil depending upon the criteria used, as published in The Lancet. **Further update: still evolving, but many are raising substantial doubts surrounding the Pyriproxyfen (larvicide) explanation. Is the Lifeblood of Vancouver Leaving? The rising unaffordability of housing is a real concern in Vancouver. But we should be clear about how and why. Summarizing the concerns of many, The Globe & Mail’s Gary Mason writes of “A crisis in Vancouver: The lifeblood of the city is leaving.” As I noted previously, scares about the depopulation of Vancouver are easily dismissed by examining migration and mobility figures. Both the City and the Metropolitan Area of Vancouver are growing, not declining. So just who are we talking about as the lifeblood of Vancouver? For that matter, what are we talking about as Vancouver? Let’s start with the latter question. The City of Vancouver, of course, lies at the heart of the Metropolitan Region of Vancouver. Should we be concerned about anyone leaving the City of Vancouver? Maybe. But if they’re just crossing Boundary Road to go live in Burnaby or even catching the SkyTrain down to Surrey, it doesn’t seem like that big of a deal. Indeed, to stick with the metaphor, if Vancouver is the heart of Metro Vancouver, so long as our lifeblood keeps flowing in and out and all around the larger region, we shouldn’t have a problem. That’s kind of what we want it to do. The bigger problem, it seems, is if our lifeblood is leaving the region altogether. This suggests we should be most concerned with patterns of migration and mobility pertaining to Metro Vancouver as a whole. Or maybe it’s worth keeping an eye on both Vancouvers: City and Metro Area, but keeping in mind that different issues are involved with each. So who are we talking about as lifeblood? After all, both the City and Metro Area just keep getting bloodier and bloodier as they grow in size. Gary Mason tells us to pay special attention to those in their 20s and 30s. For many young adults, however, the city increasingly represents a place of which they no longer can afford to be a part. Consequently, Vancouver faces an almost existential threat; what happens when the lifeblood of any community, those in their 20s and 30s, decide to leave? … Frustrated over the inability to find even a condo at prices their salaries can accommodate, many young people are saying goodbye. For the greater metrolitan region, Vancouver’s lifeblood doesn’t seem to be going anywhere. Many more people in their 20s and 30s are pouring into Vancouver than are leaving. This is an important point to keep in mind, if only to set the record straight about the implications of the region’s unaffordability. What about the City of Vancouver? For those in their late teens and early twenties, the phrase “pouring in” is simply inadequate. We have a tsunami on our hands. Why? Probably in part because Vancouver is a university town – in fact it’s MY university town. But also because central cities tend to attract young people, provide them with jobs, and provide the diverse kinds of housing stock able to support them. It’s true that the balance shifts between the City of Vancouver and the rest of the metropolitan region as people age. The City of Vancouver is a net loser for people in their thirties and beyond. No doubt many of them are looking for more spacious and affordable housing, and they would stay in the City if they could find it there. But crossing the border into Burnaby, or down to Surrey, or out to Coquitlam, seems like pretty normal circulation. The type experienced by central cities everywhere (yes, I checked, and Toronto experiences it too). 2016 is upon us, and soon we’ll have a new census. We’ll all be eagerly awaiting the results (well, anyone who has bothered to read this far, anyway). Who knows? It’s possible patterns will have shifted by then. But it’s also worth holding on to a healthy dose of skepticism. 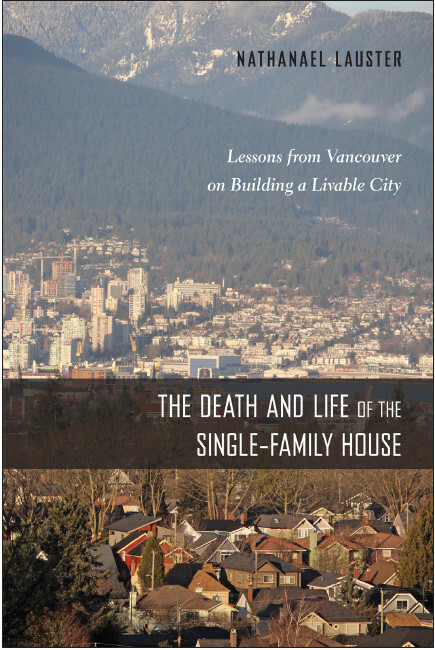 Vancouver has at least 99 problems associated with housing affordability, but losing our lifeblood ain’t one. Frances Bula has a nice piece following up on transnational investments in Vancouver’s real estate market, in particular including the big commercial and industrial properties, like the Molson Brewery. Are purchases being crowdfunded? If so, what does that mean? Are all of the investor/buyers being told about the planning restrictions in place? There are lots of interesting points to draw from all of this. One point, a point that sometimes gets lost in simplified political economic analyses of urban affairs, is that developers don’t always get their way. There is little reason to suspect that either the City or Metro Vancouver are bluffing in their commitment to keeping the Molson Brewery zoned for light industrial land use. Municipal regulations and their regulators still have power, even in the face of the “sharing economy.” The Province has even more power, which is why we don’t yet have Uber in Vancouver. It’s also why the BC Securities Commission is apparently looking into some of these crowdfunding advertisements. Another and perhaps more disturbing point concerns the potential for crowdfunding (and other forms of investment) to operate as scams. We know they’re out there (we’re definitely not getting straight stories from all the parties involved in the “Sun Commercial real estate brewery project”). This is, of course, a problem for investors – mostly, it would appear, operating out of China – some of whom are undoubtedly more deserving of sympathy than others. But scams are also a problem for Vancouver. In a local sense, they potentially tie up properties (big & small) in litigation, leaving them unattended for years. In a larger sense, the more of them there are out there and the more of them buying and selling to one another, either by design or by accident, then the more the market as a whole looks and feels like a giant pyramid scheme. It’s a long, long way down to the bottom, and getting longer by the day. *** Ummm… And here is more on pyramid-building practices via Kathy Tomlinson at the Globe & Mail. Read the whole piece! It’s worth it! New Social Housing for Vancouver? Vancouver’s mayor announced yesterday a plan to set aside 20 city-owned properties (worth an estimated $250 million) for social housing if the federal government would cough up $500 million to fund construction (joined by some commitment from the province). Up to 3,500 new units might be added. This seems like a smart move, insofar as the Liberal government is looking for shovel-ready projects to invest in, and has already raised social housing projects as a possibility. To put the 3,500 possible new units in context, their addition could add nearly 14% to the current non-market housing stock for the City of Vancouver. That’s not trivial. Looked at a different way, 3,500 new social housing units could help house the 1,746 people counted in the City of Vancouver’s 2015 homeless count. Still lots to be figured out here, including who will run these units if they get built. But this seems like a positive step for the City.